Members of our clinical team serve on a Shared Decision Making Committee comprised of both councils and organizational committees. The purpose is to strengthen two-way communication between staff and Leadership. Members of Shared Decision Making Committee provide valuable input into organizational processes and enhance quality care for our patients and their families. Staff Council, representing a cross-section of staff members, leads employee health initiatives, employee engagement, employee activities, and employee recognition. Our Staff Bright Ideas program solicits employee recommendations for ideas that improve quality, enhance safety or improve efficiency. A Working on Wellness Committee (WOW) has developed a wide range of health and wellness options for employees. Cost reimbursement incentives are available for participation. 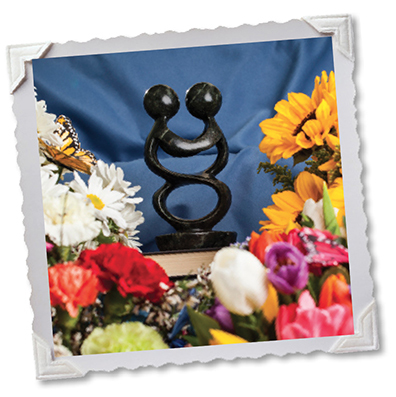 Our e-Rose program enables staff members to recognize and value each other, and our Bouquet of Recognition awards invite patients and family members as well as colleagues to honor and celebrate the contributions of our staff. As a member of our team, you’ll have a chance to impact many lives. You may find a deeper meaning in your work, or rediscover why you chose your profession in the first place. The passion you may have been missing in previous workplaces can be found at Ohio’s Hospice.